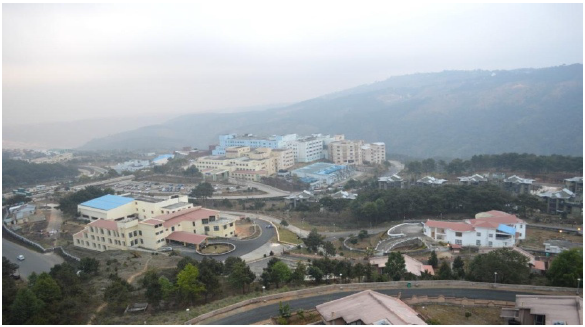 North Eastern Indira Gandhi Regional Institute of Health & Medical Sciences or NEIGRIHMS, Shillong, Meghalaya is an autonomous government institute. Established in 1987, it is an Institute of Excellence in Medical Education & Human Resource Development. The institute offers undergraduate (MBBS) and postgraduate super speciality medical courses (MD or MS) that are recognised by the Medical Council of India. It also offers courses in nursing and allied professions. 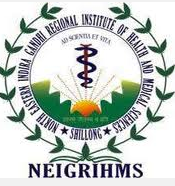 NEIGRIHMS conducts two entrance exams: for MBBS admission, and for PG entrance. Both the exams are conducted only for seats that are open to students of eight Northeastern states including Arunachal Pradesh, Assam, Manipur, Meghalaya, Mizoram, Nagaland, Tripura, and Sikkim. NEIGRIHMS has 50 MBBS seats and 28 PG seats. NEIGRIHMS entrance exam 2018 will be held for 18 seats that are open to students of all the eight northeastern states, including Sikkim. MBBS courses at NEIGRIHMS are recognised by the Medical Council of India (MCI) and available only in English. They are affiliated to the North Eastern Hill University (NEHU), Shillong. NEIGRIHMS notifications and its information brochure are available on its official website. Usually, first notification for NEIGRIHMS PG entrance exam is announced around March while the first notification for NEIGRIHMS MBBS admission is announced around May. Please Note: Students have to report at the examination centre by 7:30 am. They will not be allowed to enter the examination hall after 9:30 am under any circumstances. The exam will be held from 10 am to 1 pm. Candidates will be permitted to leave the examination hall at 1:30 pm only. NEIGRIHMS application form 2018 is available online from April 2018. Candidate can only apply for NEIGRIHMS MBBS entrance test 2018 online as per the given instructions. Ensure that you fill in correct address, mobile number and email address where you can receive the exam-related communication during admission process. After filling in all the details, take a print out of the application form for future reference. One candidate can submit only one registration form. After registering successfully, download the Challan generated on the website. Deposit the application fee of Rs 1,550/- in any branch of the State Bank of India (SBI) through the e-challan. The payment is to be done in the favour of “NEIGRIHMS Entrance Test, Account No. is 33828454188” Nongmynsong Branch, Shillong. Retain the student’s copy of the Challan for future reference. Original bank Challan (NEIGRIHMS copy). Marksheet of Class 12 board exam. Application form for PG entrance exam can be submitted online only. Candidates have to fill in the online registration form and download the Challan after successful registration. Pay the application fee of Rs 3,000/- through the e-challan downloaded from the website at any branch of Bank of Baroda throughout India. Send the NEIGRIHMS copy of the challan and print out of the filled-in application form along with the enclosed documents to the institute. Candidates may deposit the examination fee through National Electronic Funds Transfer (NEFT) from any nationalized bank in India to the Institute’s Account: “NEIGRIHMS MBBS ACCOUNT”. The account number is “30270200000005” and the IFSC code “BARBOMAWDIA”. In this case, candidates will have to send the original counterfoil along with the application form to the institute and retain its photo copy with them. Mark sheets of all MBBS professional exams including MBBS 1st, 2nd, and 3rd year (Part I and Part II) exams. Certificate of internship completion from the Head of Institution by April , 2018. No Objection Certificate from the College or Institution (in case a candidate has joined PG course elsewhere) or from the employer (in a candidate is employed somewhere). If not submitted with the application form, candidate has to present the NOC during counselling. MBBS applicants will be able to download their admit card from the official website in the month of  April, 2018. MD or MS applicants had to download their admit cards online too from April  2018. Check your admit card carefully for your name, photo, date of birth, signature, examination city and centre. In case of a discrepancy or its unavailability on the website, candidates should immediately write a mail to the Controller of Examinations, NEIGRIHMS, Mawdiangdiang, Shillong - 793018 or email him at  examcellneigrihms@gmail.com along with full particulars of the Registration Form. Without authentic admit card downloaded from the website, candidates are not allowed to sit for the entrance test. Applicants can opt for up to three exam centres at the time of filling up the application form. If seats are unavailable in these cities, nearby venues are considered. Test centres allotted by the institute are considered final. Examination centres are situated at Shillong, Dimapur, Aizawl, Agartala, Imphal, Guwahati, Tezpur and Jorhat. The PG entrance exam is conducted only at Shillong. Domicile Restrictions: Only permanent residents of the eight northeastern states of India, including Sikkim, are eligible for the exam. Age Limit: Applicant must be at least 17 years old by December 31st 2015 of the year of admission to the first year of the MBBS course. Applicant must have studied in schools in India for the preceding two years. Applicant must have cleared Class 12 board exams with Physics, Chemistry, Biology, English and one other elective. Science subjects must include practical tests as prescribed by the National Council of Educational Research and Training (NCERT) in 10+2+3 educational structure. Applicant must have at least 50% marks in Physics, Chemistry, Botany, Zoology and English as individual subjects and 50% marks in aggregate. Applicants whose board results have not been declared yet are allowed to sit the exam for provisional admission to MBBS course.
? Resident Indian nationals who are permanent residents or domiciles of one of the eight northeastern states of India, including Sikkim are eligible for open Northeast category seats. MBBS graduates passing out from NEIGRIHMS are eligible for admission to seats reserved for them (irrespective of their domicile status). Applicants must possess MBBS degree recognized by MCI and have completed their one-year internship program by March 31 of the year of examination. Students completing their internship after April 30 will not be considered. Applicants should be permanently registered with MCI or State Medical Councils (or obtain registration within one month of admission to the MD or MS course. Applicants who have obtained MBBS or equivalent degree from a foreign country have to pass the qualifying examination held by the MCI, complete one-year internship program, and obtain full registration by April , 2018. No syllabus has been prescribed for NEIGRIHMS MBBS Entrance Test 2018 or PG Entrance Exam. For MBBS admission, the questions will be based on Class XI and Class XII syllabus of Science stream as prescribed by the CBSE or by state board. For MD or MS seats, questions will be based on MBBS syllabus. NEIGRIHMS entrance tests are conducted only in English medium. They consist of one paper with three hours duration. It will be a Computer Based Test with multiple choice questions (MCQs). There will be four alternatives in each question and only one will be correct. There is no negative marking in the MBBS exam. Candidates can only carry admit card and nothing else in the examination hall. Pen and paper for rough work will be provided at the centre and will have to be returned back after the examination. Students will not be allowed to leave his or her seat in between without the special permission of the invigilator. 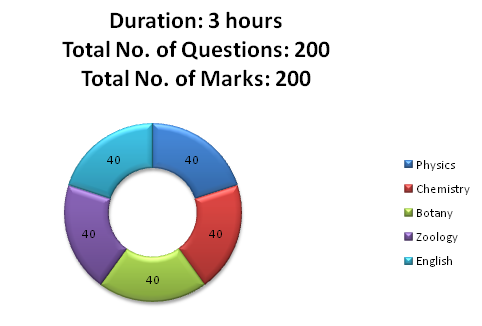 The question paper for PG entrance exam will have 200 multiple-choice (MCQs) objective-type questions with a single best response. There is negative marking in the PG entrance exam with -1 mark awarded to an incorrect response. No marks are awarded to un-attempted questions. NEIGRIHMS is exclusively for students from Northeast. No special syllabus is specified for the exam but the NEIGRIHMS preparation is almost similar to NEET (AIPMT) preparation. Pay attention to your Class 11 and Class 12 syllabus. askIITians offers excellent online coaching packages for medical aspirants that streamline CBSE school syllabus and syllabuses of medical entrance exams to make it easier for students to grasp. Besides, you can also look for free and paid askIITians study material  that has been prepared by qualified doctors and engineers from the best institutes across India in easy to understand straight-forward language. Our study material includes lot of diagrams, graphics, charts etc. to make concepts easier for you. Paid version also includes short revision notes, formula sheets and important questions for the exam. Candidates with less than 50% in aggregate in Physics, Chemistry, Biology and English in the qualifying exam, and in the entrance exam will not be included in the merit list. In case of a tie, students with more marks in English are given priority in the merit list. Next, marks in Physics are considered, followed by marks in Chemistry and then, Botany. In the end, candidate with more age is given the priority to break the tie. Selection is done strictly on the basis of merit. Candidates securing less than 50 percentile in the exam are not considered for admission to PG courses. The students can check the results online within 24 hours of the entrance exam. No correspondence is sent to individual students in this regard. Candidate who is older is given priority. NEIGRIHMS cut off for PG entrance exam of the institute was 244 marks. About 180 students made it to the merit list of NEIGRIHMS PG Entrance Exam 2018. The student with opening rank (NE Rank #1) had scored 498 marks while the student with the closing rank (NE Rank #177) had scored 244 marks. Counselling notification for successful candidates and the waiting list will be placed on the website only. Individual letters will not be sent. Selected students have to attend the counselling as per the given schedule in person and produce the originals of all the necessary documents as given in the information brochure. Counselling will be done strictly on the performance of candidates in the entrance exam. Chosen candidates will have to pay admission fee in full. If seats are left vacant, waiting list candidates will be called for counselling. Check out this page for NEIGRIHMS latest news.